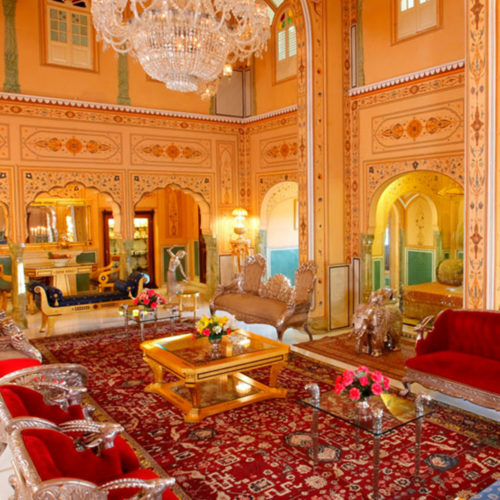 Whilst residing in the historic city of Jaipur, capital of Rajasthan live like a king and stay at the enchanting former palace, Raj Palace Hotel. Built in 1727 and beautifully resorted to its former glory this Palace hotel is a member of Small Luxury Hotels of the World and is a great base from which to enjoy the heritage of the city. Replete with original artwork, antiques, mosaics and chandeliers it even houses its own museum and has a pretty courtyard pool and spa. 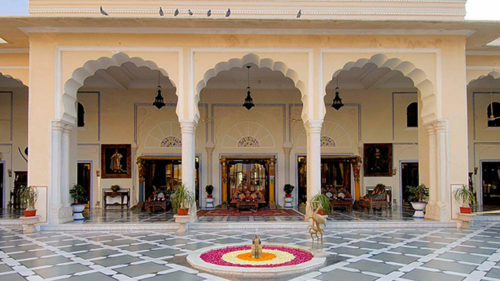 The 38 unique and atmospheric heritage rooms & suites all overlook the gardens, courtyard, and pool. The international cuisine is highly regarded and the hotel is well known for hosting live marionette shows and local folk dances for the guests.